A getaway for company picnics, group outings and retreats. For groups of 100 or more, experience 350 acres of secluded adventure, fun and relaxation. Conveniently located only 90 minutes from New York City and Philadelphia, Pocono Valley has a perfect setting for your next special event. 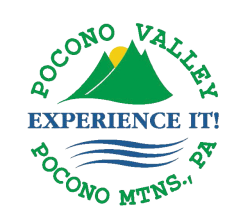 Pocono Valley offers groups a top facility with engaging activities, delicious food and experienced staff to ensure each event is a success. Pocono Valley is not open to the public. Amenities include lakeside DJ, basketball courts, Odyssey course, driving range, 35-foot giant swing, beach volleyball, softball fields, two heated Olympic-size pools, hamster balls, pickleball, six-station inflatable zone, treetop adventure park, drop zone, kayaks and pedal boats, two 900-foot zip lines over Lake Akiba and much more!